Dog ID Tube - Gold. 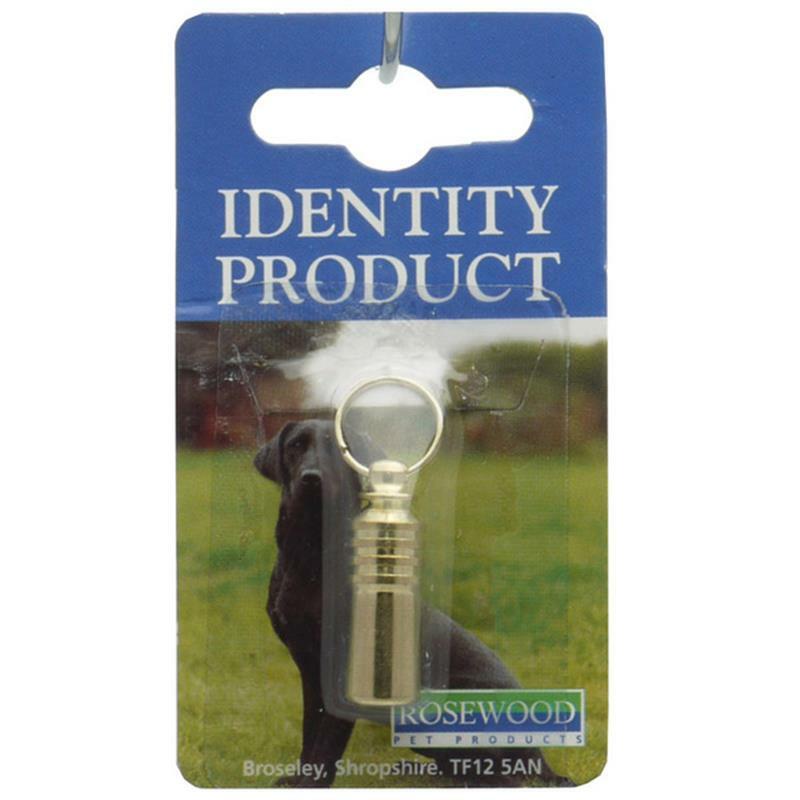 The Dog ID tube attaches to your dogs collar. Easy to remove and to identify your pet.